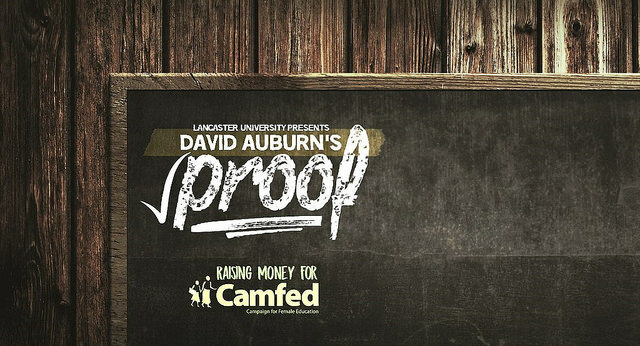 Ahead of LUTG’s production of ‘Proof’ next week, SCAN spoke to director Charity Bedu-Addo (CB) and stars Hannah Cooper (HC) and Abbie Jones (AJ) about the upcoming show. What is the premise of Proof? CB: Catherine, the main character, goes through the journey of grieving over her father, who was a mathematical genius who was famous in his field, and she struggles with the idea that she has inherited her father’s mental illness as well as his intelligence. It covers a lot of issues, including the mental health aspect, and women in education. What was it that attracted you to the play? AJ: We actually did ‘Proof’ a few years ago, so this is the second time I’ve been involved in it with LUTG. I directed it when we did it in 2014, so I love this play. Somebody recommended it to me because I was doing a maths degree, so I read it and completely fell in love with it. CB: I was studying abroad last summer, and my professor gave me ‘Proof’. I loved the characters – they were more or less just normal people, yes you have a maths genius in there but at the end of the day they are normal people and these things could happen to anyone. I loved how simply it was written, there’s so much you can do with the play so that’s what drew me towards it. HC: I read it for the first time during auditions, and I was like “oh, it’s actually quite interesting”. It’s so well-written, and I just felt like I was in the garden [where the play takes place] with them, looking at their lives, and they’re such interesting characters. There’s just something really magical about the way [David Auburn] has written this play. There’s not a wasted word, everything is on purpose. The play is very focussed on maths and academia – how do you make that come across in an interesting way on stage? AJ: Just as a disclaimer, you don’t have to understand maths to enjoy the play! We talk about maths but not in a way that we expect the audience to understand, it’s more about the characters. CB: Yeah, it’s more about the relationships. They almost use maths as a way of communicating. That doesn’t mean that the audience doesn’t understand, it means that these characters understand each other through it more than anything. HC: There’s not too much maths in it to be honest. It’s really about what blooms from maths – the arguments or close relationships you gain just from one topic. Hannah, have you enjoyed playing the character of Catherine? HC: The first thing that scared me quite a lot was the accent, I’ve never done an American accent before. But I love Catherine, because I find her very relatable in that she’s quite lazy, she’s quite argumentative and defensive. She’s so real, she doesn’t care if people don’t like her, she’s not a cookie-cutter kind of character. She’s so interesting and complex, I love playing her. And Abbie, have you enjoyed playing Claire? AJ: When I first read the script, I saw myself more as a Catherine because she’s a 25-year-old mathematician, and I’m a 25-year-old mathematician! But since getting to know Claire I’m seeing that I’m such a Claire, I’m the bossy big sister, I make lists, I like things to be very organised, I’m probably quite annoying. But it’s fascinating seeing her softer side too, which I hope comes through to the audience. To Catherine, Claire is annoying and somewhat antagonistic, but I’m totally on Claire’s side! When you’re adapting a successful play such as this one, do you want to copy what made it good or put your own spin on it? CB: I have not seen a previous production of it, and I stayed away from watching clips because I think, “ooh, they did this well, I should copy that”. You have to get things like that out of your head, otherwise it’s not going to come across as truthful. I prefer just reading a script and going from my own imagination. I feel like it’s a lot more authentic if you do it in that way. How has this compared with previous LUTG productions you’ve been involved with? AJ: This one will always have a very special place in my heart so I’m probably biased, but it’s definitely been one of my favourite experiences, because it’s a very small, tight-knit cast. Because all the characters are playing family members, you then feel like a family. HC: It’s a really good experience, it’s definitely stressful but really rewarding. Last term, directing ‘1984’ was so stressful but in a completely different way. This has flown by, it’s just been such a pleasant and wonderful experience. Everyone in the cast and the crew are so dedicated, it’s really lovely to be a part of. CB: I think this a show where everyone involved is at the same level of dedication and commitment. The process of putting the show together has been so quick. Right now, we still have a week until the show, and from our last rehearsal the show’s ready to be on the stage, I can say that with a lot of confidence. Because it’s my first time directing it’s been a very different experience but it’s so rewarding. Watching our last run-through, I almost cried, I felt so proud. AJ: What I’ve found very refreshing about the process of this one is that there’s not that many technical aspects to worry about. There’s no smoke and mirrors to hide behind, and it’s just refreshing to spend the whole time zeroing in on who the characters are. How would you sell the show to anyone still on the fence? AJ: I promise it’s not all about maths. Apart from to the people in my maths department who I’ve invited, in which case it’s all about maths! CB: There are four characters and everyone will be able to relate to at least one of them. The set is going to be beautiful, I’m so excited for it to be finished. These actors have been working so, so hard, and the journey that they have taken since the first rehearsal to now is incredible, and I’ve never seen an LUTG show be this polished, this quickly before. I am so confident in this play, so come and watch it. HC: Even within the first scene it offers this world, this slice of life with these people that you get to be part of and enjoy, it’s just a really nice experience to watch.